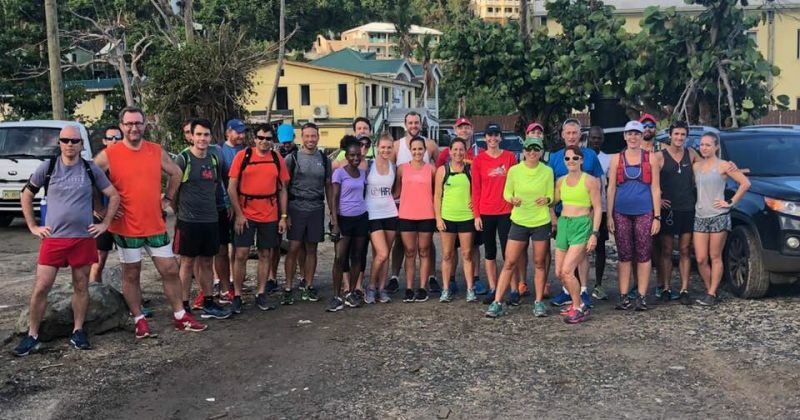 Despite being a 8.38 mile run, several people decided 2,000ft of climbing, as opposed to 1,000 in St John, US Virgin Islands (USVI) was not enough and ran their own more difficult course. “Several also decided that it was a race and not a run and hared up Windy Hill quicker than you can say 'blimey who is that coming back already? '” event coordinator Kay Reddy said. BVI Runners had decided to host the 8 Tuff Miles solidarity run for those not able to join persons on St John for the unofficial 2018 run. 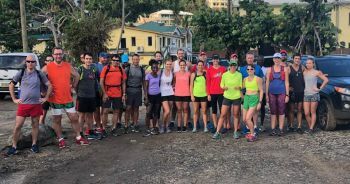 The run on Tortola began in front of Sebastian's Car Park in Capoon’s Bay, proceeded along the North Shore, though Apple Bay and Carrot Bay and up Windy Hill, and return. Paul Mellor led the charge closely followed by Adam DeMonte, Marcus Hallan, Julius Farley, Michael Killourhy, Guy Williamson, Rosmond Johnson and Lauren Williamson. Having blazed Windy Hill several challengers decided to get ahead of Tortola Torture training by continuing up to Sage Mountain whilst others merely conquered the ridge to get the distance (8 Tuff Plus). DeMonte did both and Cliff Struiken was still clocking up miles well after the coolbox was emptied. The event raised $310 for the 8 Tuff Mile scholarship fund. Farley and Johnson were declared the unofficial winners of the unofficial 8.38 mile course.